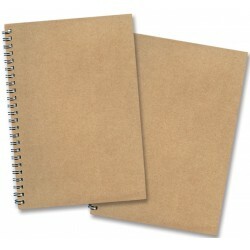 Eco Notebooks There are 7 products. 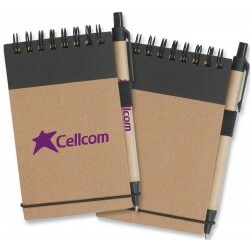 50 leaf, wiro bound, pocket notebook complete with an elastic strap and pen. 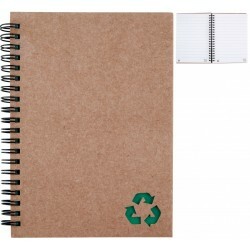 The notebook and pen barrel are made of 100% recycled paper and the plastic parts of the pen contain corn starch material to reduce the amount of plastic used. 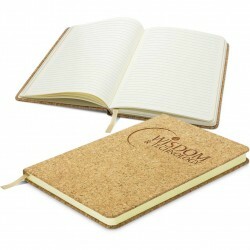 Medium A5 size, side opening wiro bound 60 leaf note pad. 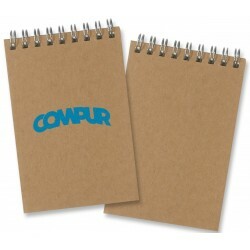 Both the cover and note pad are manufactured from recycled paper.